When the basic conceptions of the world held by whole generations in the West are formed by popular culture, and in particular by the music that serves as its soundtrack, can theology remain unchanged? The authors of the essays in this important volume insist that the answer is no. These gifted theologians help readers make sense of what happens to religious experience in a world heavily influenced by popular media culture, a world in which songs, musicians, and celebrities influence our individual and collective imaginations about how we might live. Readers will consider the theological relationship between music and the creative process, investigate ways that music helps create communities of heightened moral consciousness, and explore the theological significance of songs. Tom Beaudoin is associate professor of theology at Fordham University, specializing in practical theology. His books include Witness to Dispossession: The Vocation of a Postmodern Theologian; Consuming Faith: Integrating Who We Are with What We Buy; and Virtual Faith: The Irreverent Spiritual Faith of Generation X. He has given nearly 200 papers, lectures, or presentations on religion and culture over the last thirteen years. He has been playing bass in rock bands since 1986 and directed the Rock and Theology Project for Liturgical Press. 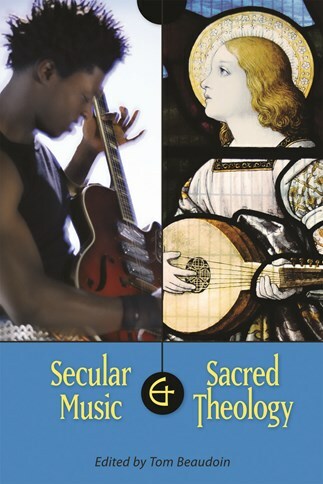 Scholars finally have a book that seriously engages theology and popular music through a variety of methodologies and musical genres. This is a must read for scholars of religion and popular culture and has definite classroom appeal. Secular Music and Sacred Theology teaches us that everyday popular music is an entry point into discussions of the serious contemporary theological issues. Theology's engagement with popular music is growing apace. This diverse and highly readable collection provokes all the important questions in a vitally important field.